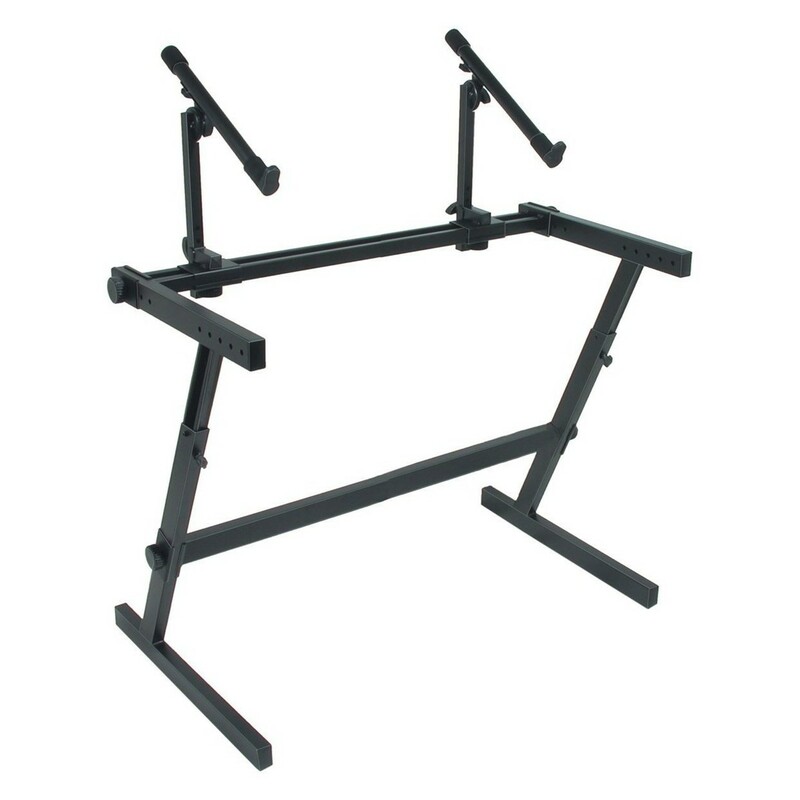 The Quiklok Z-726L is a heavy-duty, extra wide "Z" frame stand with two fully adjustable tiers and a solid base. Incredibly versatile, this frame is perfect for housing a wide range of audio equipment, from keyboards and MIDI controllers to recording, audio and computer equipment. The large base area is also extra-wide, allowing excellent space for even the most extensive floor pedals, such as the M-Audio SP-Triple. The Z-726L's 'Z' frame design is a highly modular system, allowing a huge variety of user customisation to fit any musician's needs. The base frame can be expanded to a fully functional workstation. All stands are constructed with heavy gauge steel and computer-welded joints for years of dependable use.